No matter the size of your vehicle or construction equipment fleet, rely on Bear Oil Company and Power Service diesel additives to provide year-round diesel engine performance improvement, trouble-free extreme weather operability and proper fuel tank hygiene. Request a free year round maintenance schedule with the recommended usage guidelines for seasonal additives. Or you can always call 210-494-3479 and contact Bear Oil Company for assistance. In addition to selling all equipment and tanks, Bear Oil offers a tank rental program to fit your changing needs. We sell tanks and all of the equipment you need. 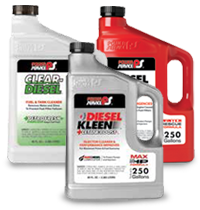 Bear Oil’s Fleet of trucks can handle all of your fueling needs. Bear Oil stocks bulk and packaged lubricants to serve a diverse customer base. Contact us to solve problems, reduce cost, and consolidate inventory. If we don’t have the oil you need, we’ll find it for you!